149 years ago on this day, the people of Upper Canada and Lower Canada came together to create one great nation, Canada. “From the outset, Canada was formed not in spite of differences, but because of them. Thanks to the hard work and understanding between many cultural and religious communities, Canada is the diverse, inclusive, and compassionate country that we are fortunate to call home today”, said Canadian Prime Minister Justin Trudeau this morning. I can certainly relate to this message. My family escaped the tyranny of the communist regime in Poland in the early 1970’s and we received a wonderful welcome in Montreal (Quebec). That is where I grew up and where my parents and brother still live and celebrate the “vivre ensemble” (Living together). Four decades later, Canada still is a beacon of hope for refugees escaping the atrocities of the middle-east crisis. The Trudeau administration committed to take in 25,000 Syrians only to increase this number by tens of thousands soon after. So many Canadians are willing to sponsor them that the government can’t bring them quickly enough. “Where are the refugees that you promised us? When will they arrive? We are waiting for them! is what I hear from the constituents in my Toronto riding” said Minister of International Trade Chrystia Freeland during the Forum of the Americas in Montreal two weeks ago. And this constructive and solutions-oriented approach extends well beyond the refugee crisis. When the Canadian delegation arrived at the Paris Climate Conference in December, the assembly was chanting: Welcome back Canada! Welcome back Canada! and that was even before the climate minister Catherine McKenna voiced Canada’s commitment to maintaining climate change well-below 2 degrees. At a time when the dark forces are shaking the world by promoting hate, fear and isolationism, there is a new wind blowing from Canada. 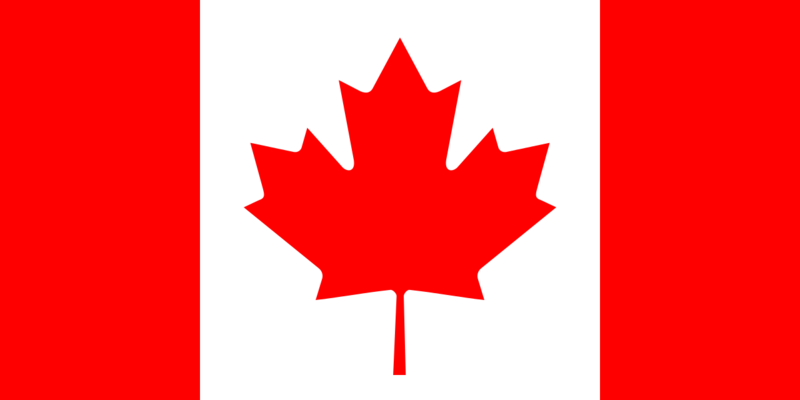 One that is supported and celebrated by all Canadians. It is a message of peace and tolerance, a celebration of multiculturalism and diversity and a reason for the whole world to celebrate! 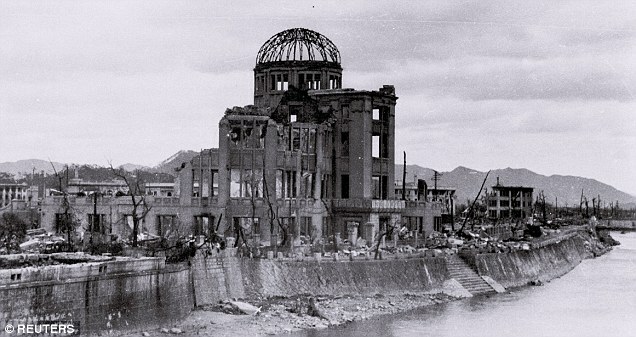 Following the April trip to Hiroshima by John Kerry, the scene is set for the first visit of a US President to the sites where America dropped the bomb in August 1945. Having taken the world into the atomic age, America has a special obligation to rid the world of nuclear weapons. Tomorrow’s visit (May 27) will be a side-trip to the G7 summit hosted by Japan and is already perceived as a major success for the Japanese Prime Minister and a show of strength of Japanese-American relations in the face of an increasingly assertive Chinese presence in the region. Surely, it will do nothing to appease the Chinese and South Korean grievances for Japanese atrocities inflicted on them in the first half of the 20th century. In 2009 already, Obama said that achieving a world without nuclear weapons is fundamental for American security and for peace in the world. During the cold war nukes could have erased the world as we know it in a flash of light. Today the cold war is over but the legacy of thousands of nuclear weapons remains with the paradox of a higher risk of a nuclear attack occurring. With the proliferation of nuclear secrets and technology, more countries have nuclear weapons and it is easier for terrorist groups to gain access to them. President Obama is right that global peace and security demands ridding the world of nuclear weapons and that America has a moral responsibility to lead. How much can be achieved without inflaming existing tensions remains to be seen. Obama’s legacy on peace could be in the making here. With much criticism already voiced back home and more coming from North Korea, we will find out soon enough. Young people, my interns or students attending my talks regularly ask for book recommendations. 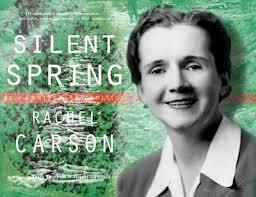 With no hesitation my first suggestion is “Silent Spring” by Rachel Carson. Called by some as one of the most important books ever, “Silent Spring” got the American environmental movement started. Al Gore describes it as the inspiration behind his involvement in climate change while Canadian geneticist turned activist David Suzuki reminds us that prior to “Silent Spring” there was not a single country with a ministry of the environment. Within 10 years, the United Nations Environmental Programme was created and the first global conference on the environment took place in Stockholm (Sweden). During the following two decades the environment became a key topic on the global agenda leading up to the 1992 Earth Summit in Rio. 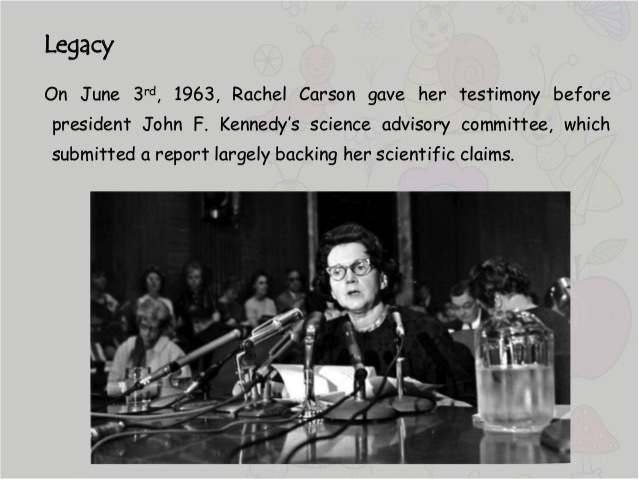 Rachel Carson had been concerned about the negative effects of pesticides since the 1940’s. She finally decided to write “Silent Spring” after receiving a letter from a friend describing how birds in Boston were dying from the effects of DDT and other pesticides. The title conveyed the idea of a morbid spring with no birds singing. It was and remains controversial. It resulted in virulent attacks against her. She was called a hysterical woman that wanted to return humanity to the “dark ages” and that restrictions on the use of DDT caused the unnecessary death of millions. Rarely do critics mention that in most countries the use of DDT is still allowed for mosquito eradication but that growing resistance to DDT has reduced its effectiveness. President John F Kennedy ordered an investigation by the Science Advisory Committee which resulted in increased oversight and regulation of pesticides. In “Silent Spring” Rachel Carson thought us that everything in nature is connected and that all our actions have consequences – most of them unintended. At a time when it was hoped that science and technology would allow humanity to dominate nature this book helped us realize how little we knew. This lesson is just as relevant today as it was in 1962. “Silent Spring” should be a mandatory read for all students and for anyone interested in the environment. What would we do without energy? from smartphones to transportation our way of life runs on energy. But faced with the realities of climate change and 1.3 billion who lack access to modern energy, Scott Foster from the UN Economic Commission for Europe (UNECE) argues that we have got the energy equation seriously wrong and need to change the way we think about energy. We can meet the challenges of sustainable development and climate change if we think of energy as a service instead of a commodity. 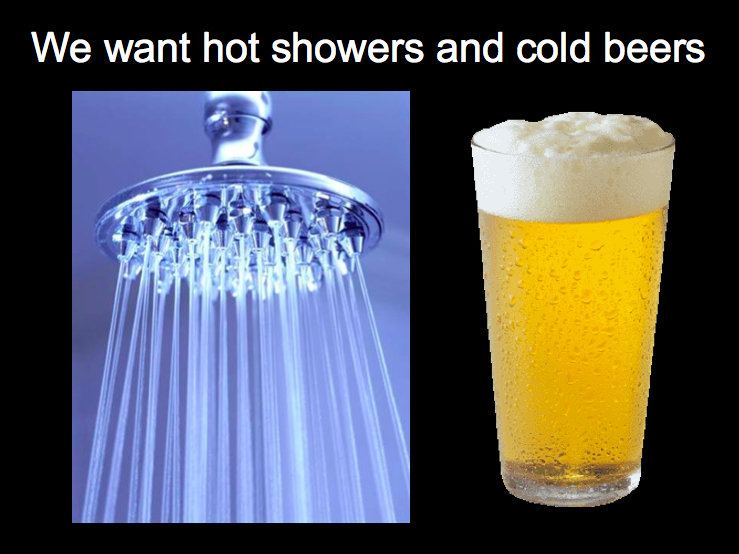 Scott argues that we want hot showers and cold beers not barrels of oil or kilowatt-hours of electricity. Fostering this revolution to think in terms of services and obtaining this value most efficiently will radically reduce waste, improve efficiency and help address climate change and energy poverty. There is a compelling business case for transforming energy utilities into service providers because they have the financial capacity, the expertise and the business partners to make it happen. Most importantly, we know it works! The successful experience of California where it was implemented after the oil crisis in 1978 for gas and 1982 for electricity shows has been replicated in 15 other American states for electricity and 23 for gas, with legislation pending for 12 other states. Few realise the powerful role that sport can play in building bridges for peace and in promoting human progress around the world. 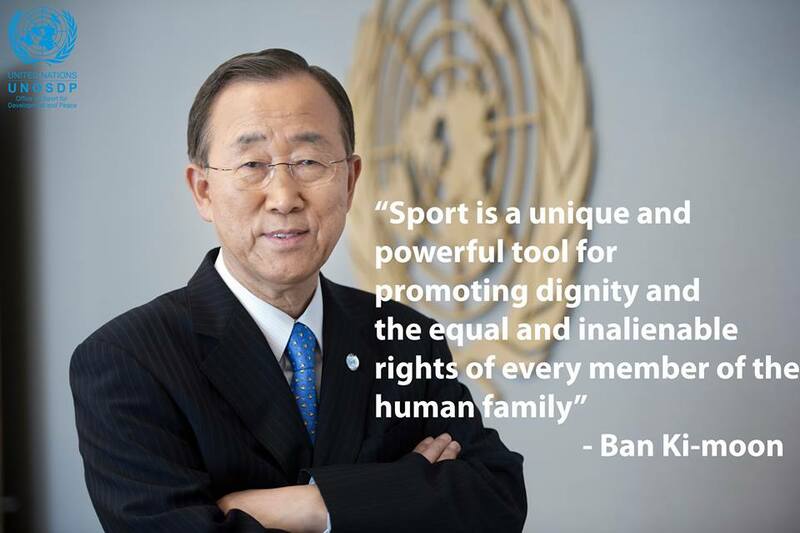 This is why the United Nations have an office dedicated to Sport for Development and Peace (UNOSDP) and the reason for the success of its Youth Leadership Programme that helps young people to develop skills to address important social issues in their communities through sport. 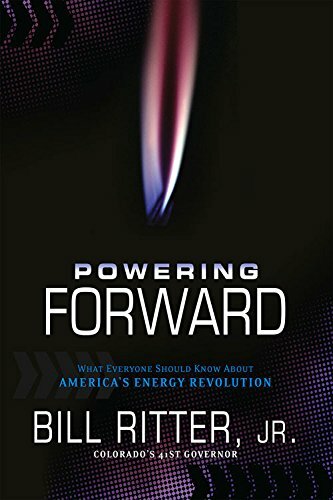 Powering Forward, by Bill Ritter, JR.
As “Powering Forward: What Every American Should Know about the Energy Revolution” becomes available for sale today, I am grateful to Bill Ritter, his team at the “Center for the New Energy Economy” (CNEE) at Colorado State University and to Fulcrum Books for providing a copy of the book for this review. Bill Ritter Jr. knows a thing or two about the energy revolution and the sun that is setting on the fossil fuel industry. As Governor of Colorado, he turned the State into a leader in clean energy and then launched the “Center for the New Energy Economy” (CNEE) to help other states accelerate their transition to a clean-energy future. Having hosted Gov. Ritter at the Geneva “Green and Inclusive Economy” Conference ahead of the Paris climate summit, I was familiar with his work as governor and at the CNEE including the need to address climate change, the cost of clean versus fossil energy and green jobs. All are well covered, as one would expect in such a book. But “Powering Forward” is different in that it goes much further to address the role of science and education, the need for well informed citizens for a functioning democracy and how biased and misleading media coverage has helped the climate denial industry. But his most important contribution is to shed some light on the government intervention versus the free-market myth and his attempt to turn a divisive energy debate into a consensual and bi-partisan quest for a better future. For many, government intervention amounts to “corporate welfare” and invariably drives up costs for consumers. It may therefore come as a surprise that fossil fuels have been subsidized since 1916 and that American energy utilities have been run as quasi monopolies with no competition. While most will agree that governments should not pick winners or losers, thinking that energy markets are “free” is a misinformed illusion. The reality is that government still largely favours fossil fuels with obsolete policies from the carbon age that are slowing down innovation, artificially restricting consumer choice and undermining American energy security. A good example comes from Georgia where the Sierra Club and the local Tea Party took on the monopolistic energy structure. It did not sit well with them that people could not choose where they get their electricity from and they forced a change in law to allow customers the ability to generate their own electricity and sell it back to the grid. Business as usual is no longer an option. We are at the crossroad and must now decide if we will become the victims of our future or its architects. By working together and reconciling our differences we can turn scarcity into abundance and crisis into opportunity. This is the key contribution of Powering Forward.